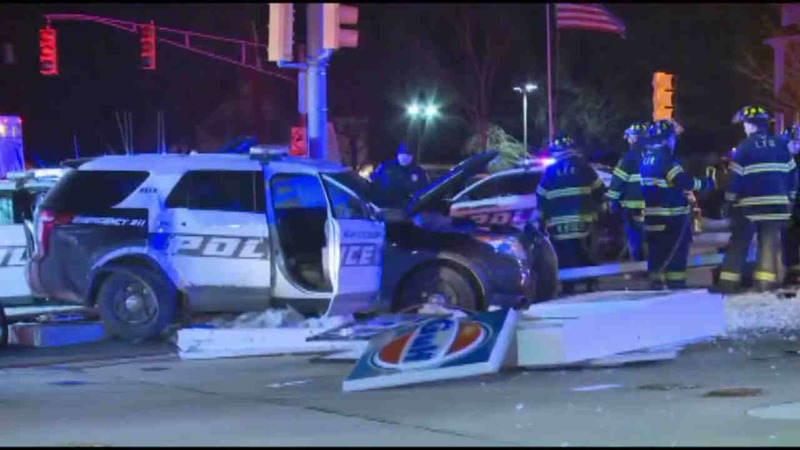 LIVINGSTON, New Jersey (WABC) -- Two Millburn police officers were treated after their cruisers collided in Livingston Wednesday night. The officers were attempting to pull over a vehicle when they crashed at a Gulf station on South Livingston Avenue and Hobart Gap Road at 8 p.m. The collision brought down a sign at the gas station. The officers were treated for non-life threatening head and neck injuries.